Berger Company is a fourth generation, family-owned leather and textiles business based in Atchison, Kansas. 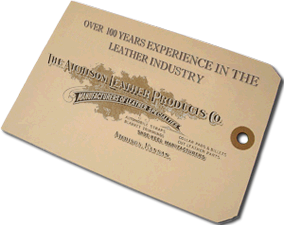 Quality leather products and service since 1908. 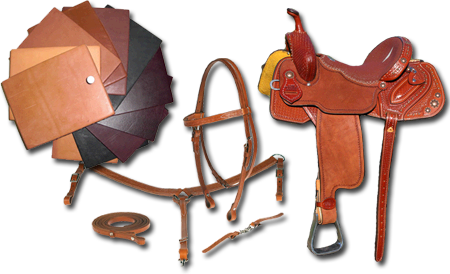 Berger Company is proud to offer a full line of leathers for saddles and saddle parts, reins, headstalls, breast collars and other tack. 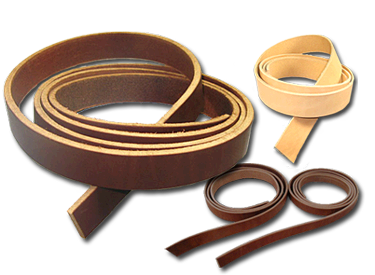 Derived from Bellies, Shoulders, and Strap Sides, our wide range of quality Veg-tanned strap leathers are perfect for superior strength, durability and beauty in making leather belt blanks, bridles and straps of any kind. Soft and pliable leathers coming from Suede Splits, Finished Splits, Chrome Side Leather, Oiltans, and Job Lots. With a central US headquarters and worldwide manufacturing and distribution, Berger Company is positioned to meet your global needs. Berger Company produces and ships orders globally to provide better service and lower costs. Genuine leather is a durable, natural product. Each hide is unique in its appearance, tone, and size – and each takes on its own particular patina through time and wear. 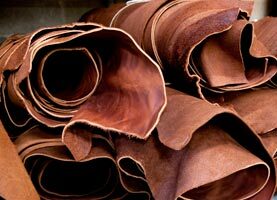 The leather industry is one of the oldest businesses known to humankind. 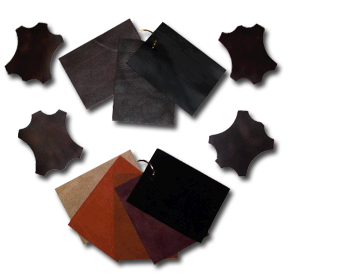 The conversion of an unprocessed hide into a beautiful piece of leather requires a complex and highly-controlled process. Even with such a broad and diverse product line crafted from leather, some things about leather goods remain consistent: natural leather has characteristic warmth and a natural resistance to wear that has made leather a product that has been desirable and distinctive for centuries. Berger Company is a fourth generation, family-owned leather and textiles business based in Atchison, Kansas. Since our founding in 1908, Berger has provided quality leather products and excellent customer service at competitive prices. In our earliest years, around the time that Henry Ford first rolled out his Model T automobile, the Berger Company produced team harnesses, bridles, halters, horse collars and a variety of leather cut parts. 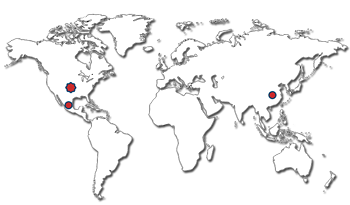 Today, Berger has manufacturing divisions across the globe and provides quality leather to manufacturers of leather goods, as well as manufactured leather products and textiles. 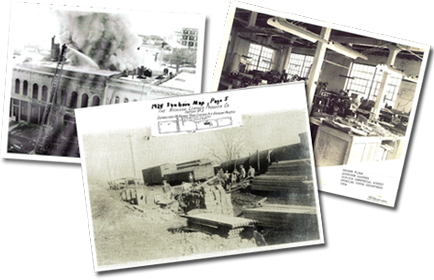 At Berger Company, our history in leather manufacturing speaks for itself. Going forward, our goals are to continue to manufacture fine leather products, maintain a high industry standard in leather quality, and respect every customer by providing exceptional customer service. © 2016 Berger Company, Inc. All rights reserved.